The expedition diary of Jam Entry: Houston, We’ve Got A Problem. And we don’t want an extra hi-tech with some plasma balls floating over it. Finally, we came to this concept of an MRI-like construction. The idea – scientists finds some samples, brings them to this module and put into central space. Then the scanning and analysis starts. And here are colored ones. We invite you to our page at Steam Concepts! First iteration of sketch – too much cuteness, lack of tech. Second iteration. The main idea – all modules arrives to planet inside a shell and during installation engineers unfolds it. Third iteration. We draw inspiration for this in the “Game of Thrones” intro (those castles are so cool=). Visit our page at Steam Concepts! Houston: Expedition diary Part 5 – Steam! We successfully landed at new ground. Hello, Steam Concepts, we come in peace. We invite you to the Houston page at Steam Concepts! Sure, we are nervous a little bit about this move, but we hope it is a right thing and we have to try. This is the expedition diary of Houston. The prize is – certificate for a package of promotion in windows store. Scientific Note: the level of endorphins rose up sharply. And, of course, we are very excited of getting feedback about our game. What will be your score? Oh, and if you like our game – we will be happy to see you in our FB group. It was exciting – finally, all the parts we made during the day now works together as one game – with logic and results. But cruel clocks show 5:00 at that moment. At 10:30 the team was already at work again. – “Houston, We’ve Got a Problem” feature – when we may tell them, how to solve critical issues. 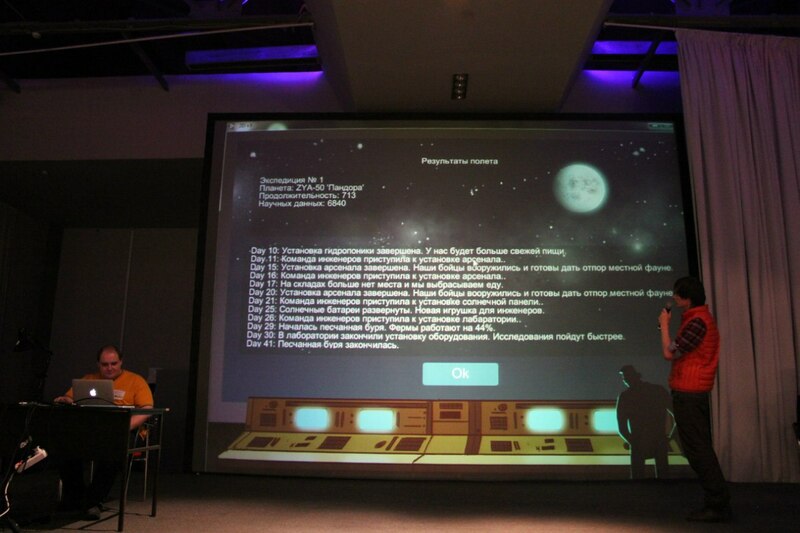 But – the game works and we still have something to show on presentation of Jam. Other expedition diary data under decryption now. Please, check the first screenshot before play – there are tutorial stuff. It is our’s first LD and Jam at all and we are very excited about all this atmosphere and feedback! 17 queries executed in 0.119 seconds.